Lauren of Lauren Heim Studio reached out to me a few months ago and asked if I would be interested in an art print for my followers, to which the answer was a quick "HECK YES"! Scroll towards the bottom of the post for two free art prints and my practical guide to meal planning! Hello! I'm Lauren, hand lettering artist and owner behind Lauren Heim Studio. I'm often found teaching brush lettering workshops, designing custom work for clients, creating pieces for my online shop, or brainstorming business ideas with my husband. My husband, Andrew, and I are both are entrepreneurs (Amy and I both have husbands named Andrew!). Andrew is very much business oriented, as a business coach for entrepreneurs, and I'm the other spectrum as a creative. We both work from our home with our Wheaten Terrier pup, Bear. We have a really unique lifestyle that we're really grateful for! Yes, we work a lot sometimes. But we're also so passionate about our work, and we love doing life and work together (most days!). My favorite things include walks on the trails at our local park, visiting local bakeries, organizing and re-organizing, Netflix-ing, tea drinking and baking. 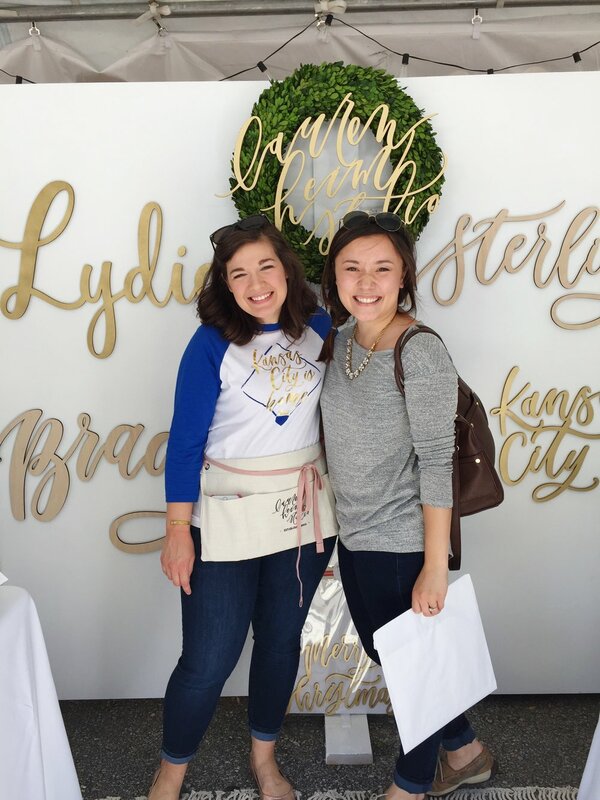 I had the privilege of working with Amy on a lettering project for her wedding, and then was so honored that she attended one of my workshops. I can't say enough wonderful things about this girl! I love how Amy brings knowledge, humor and positivity to everything she does. As a woman who struggles with gut health and female issues, I'm constantly trying to improve my health through what I eat but also not restrict myself from the good stuff. Amy's take on nutrition is such a breath of fresh air that we, as women especially, need in this day and age. I love being inspired by her blog, recipes, and words! Happy Wednesday, friends! Lauren and I hope you enjoy our little gifts, and that they brighten your week!